T-Rex® fastens your new gutters so securely to your home that they can support the weight of 3 men at the same time. Through its unique patented design, T-Rex® helps create a unified structure that resists bending and twisting. Nothing can pull it off or damage it, not even bad weather! The T-Rex® continuous fastening system can support 250 lbs per linear foot. T-Rex® makes the gutter 50% stronger than traditional fasteners such as spikes or hangers. 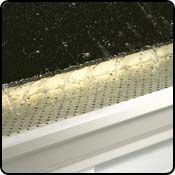 T-Rex® can be used with all new gutters, regardless of the width or materials used (except PVC). The Gutter Clean System™ offers the same protection against leaves and debris as the T-Rex® continuous fastening system. 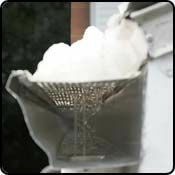 The Gutter Clean System™ protects your gutters effectively. 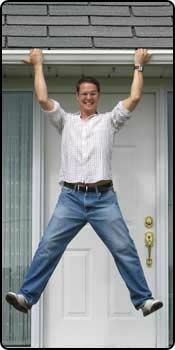 Alu-Rex has sold over 44,000,000 linear feet of its patented products worldwide! With 489 perforations every 19 inches, Alu-Perf technology can drain 29.7 inches of water per hour per linear foot. That’s 3 times the amount of water ever recorded in the heaviest rainfall.